Ready for an amazing Valentine’s day in Budapest? Explore the romantic side of Budapest with our expert tips. Some basic ideas don’t need a long explanation: a stroll or morning run around Margaret Island won’t cost you a single forint and is still pretty romantic if spent with the right person. The best views for the city are from the Ferris wheel on Erzsébet tér and the very top of St. Stephen’s Basilica (also the most beautiful cathedral in the city). Hiking in the Buda hills is a popular and easy-to-organize getaway. 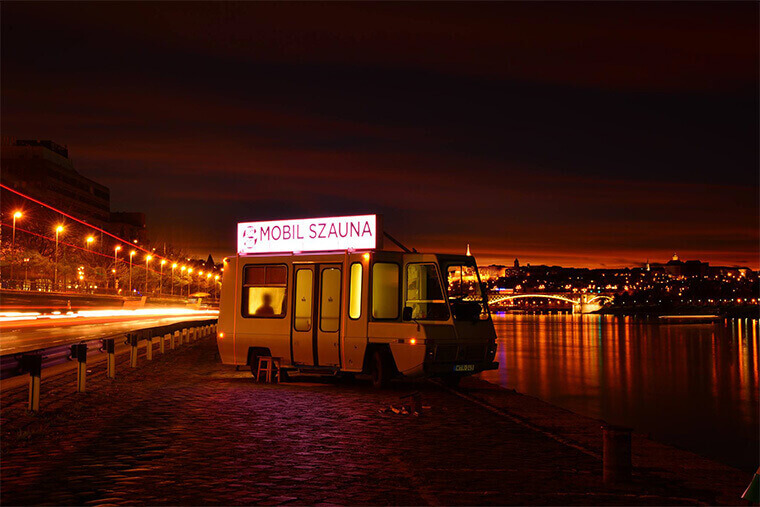 Mobile sauna by the Danube! Making any relationship work requires some sweat. Hopefully not quite as much as you are sure to perspire if you book a time slot in Valyo’s sauna van (valyo.hu/szauna) right by the Danube, near Rákóczi bridge, on the Southern riverbank of the Pest side. If you want to turn this into a bigger party, the van seats 5-6 people if needed. The breathtaking view of the Danube is guaranteed, what else do you need? Maybe towels and slippers (make sure to bring your own!) You can rent the van for 1.5 hours – book well in advance as the van is popular! Károlyi-kert, as it’s called in Hungarian, was owned by one of the most famous aristocratic families from 1768, before becoming a public garden in the thirties. The palace to which it used to belong is now a literary museum, and the garden has been a longtime favorite of Hungarian writers. 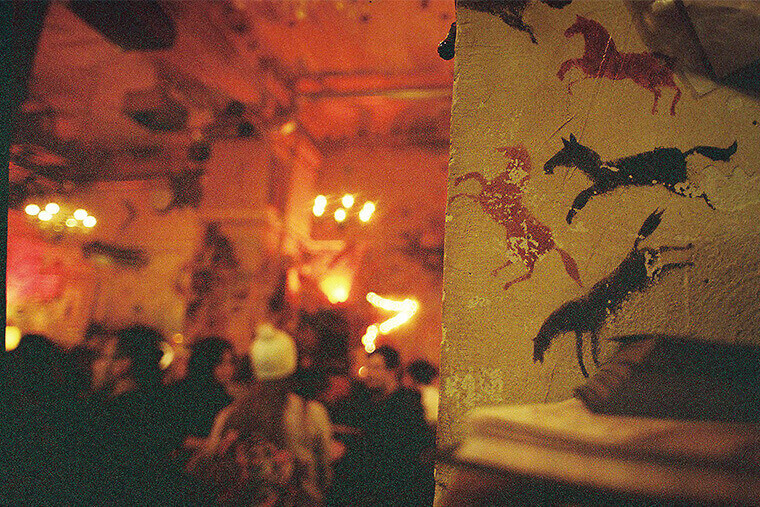 A few steps away from Károlyi Garden, the corky and hip Csendes is the place to go if you like a buzzing bar with a fun crowd, great music and all sorts of events. Make sure you book a table in advance! You can also stop by the Csendes Concept Store to shop for trendy Hungarian designer products. Surprisingly few foreigners realize that the best time for the world-famous thermal baths in Budapest is actually the winter. (They’re HOT, right?) Rudas has a fancy restaurant slash panorama bar (overlooking the Danube, obviously), while Gellért is the most beautiful. 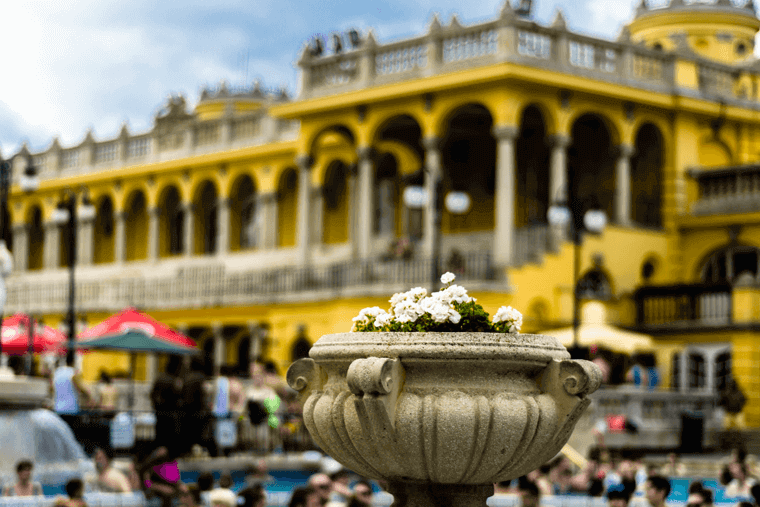 Széchenyi is another old favorite, and you can also look into Dandár for a local dive. 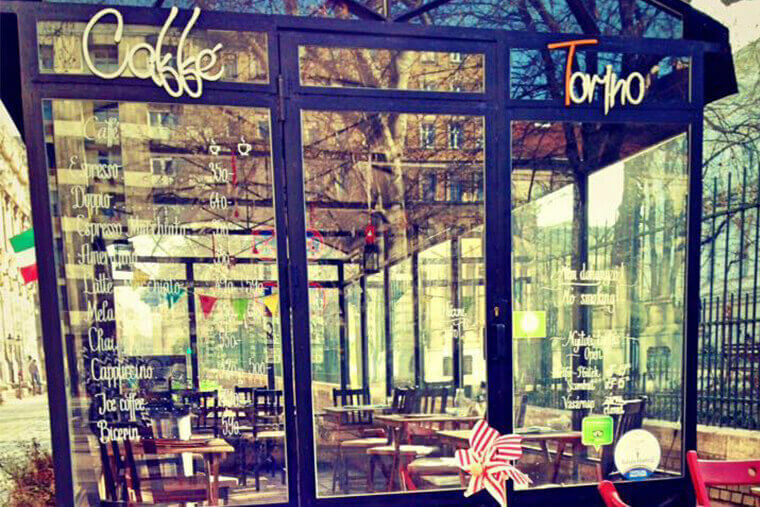 Caffé Torino on Bródy Sándor Street is located next to the Italian Institute and the Hungarian National Museum. The latter is important as the Museum Garden is open to the public – it’s a beautiful old garden that’s a favorite spot for couples in the city. The Italian café next door is small enough to be romantic (even though they don’t have a huge selection for the exact same reason).